JAKARTA, Indonesia -- A group of Rohingya who have been living in Indonesia since a May 2015 anti-trafficking crackdown have begun the process of moving to the United States. The Head of Lhokseumawe immigration office in Aceh province told Anadolu Agency on Tuesday that 17 Rohingya had been transferred from temporary shelters in Lhokseumawe to North Sumatra province for processing. Alberts Djalius said that once there they will have interviews with U.S. officials in North Sumatra capital Medan and eventually move to the United States. The 17 are among 102 members of the Muslim ethnic group who will have interviews with U.S. consulate officials in Medan. 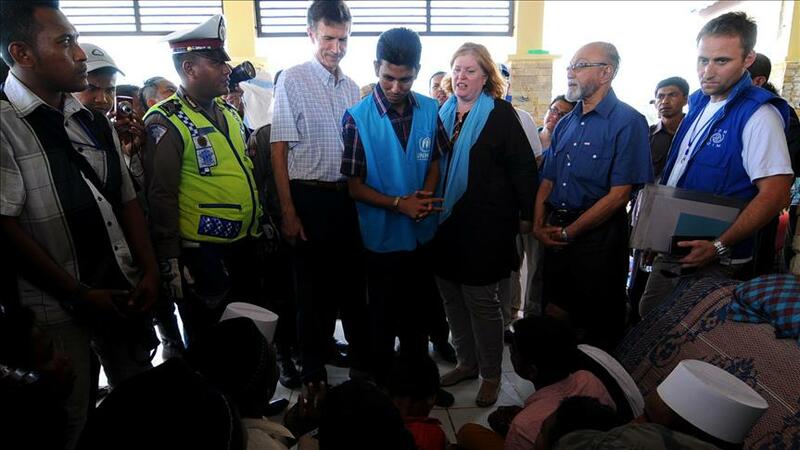 A further 174 Rohingya remain in shelters in Aceh. Langsa Immigration Office in East Aceh has said that the interviews may take six months and the Rohingya will stay in Medan for the period. In May 2015, thousands of Rohingya and Bangladeshi migrants were stranded at sea after Thailand launched an anti-trafficking crackdown after discovering the bodies of dozens of migrants near its border with Malaysia. After initially turning back boatloads of migrants, Indonesia and Malaysia agreed to take Rohingya in for one year, accommodating those deemed to be refugees on the condition that the international community then resettle them. Rohingya have for years been fleeing Myanmar by sea to escape alleged persecution from authorities and Buddhist nationalists. In the process, many have fallen prey to human traffickers.